This week we don’t have one ‘pick of the week’ but three! All New Now at Mango, these are the updates you need as Spring ebbs ever closer. Mango have really got their act together lately and have stepped out of Zara’s shadow, the other go-to Spanish fashion brand. Striped top with frill sleeves, £19.99 , to replace your Breton top. 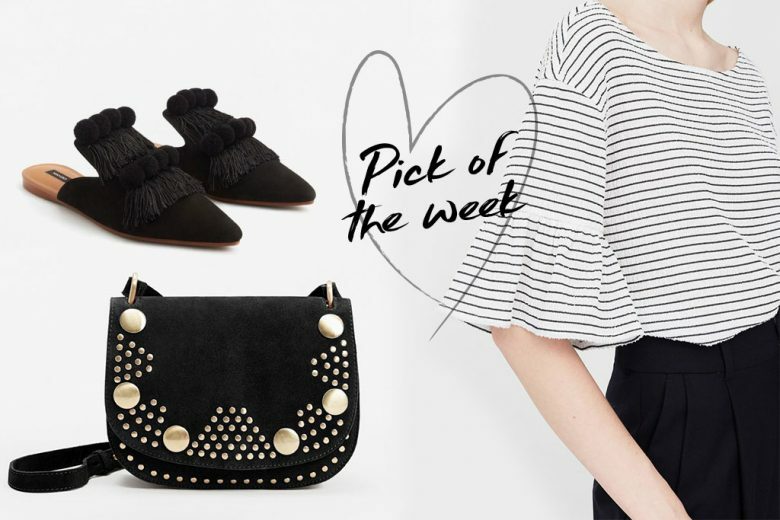 Embellished flat, backless mule, or Babouches, with a clever use of both fringing and pom poms, £49.99. A studded cross body bag, such a practical bag style now with added interest and great value at £59.99. Just add a cropped flare jean and sunglasses for an effortless spring outfit.